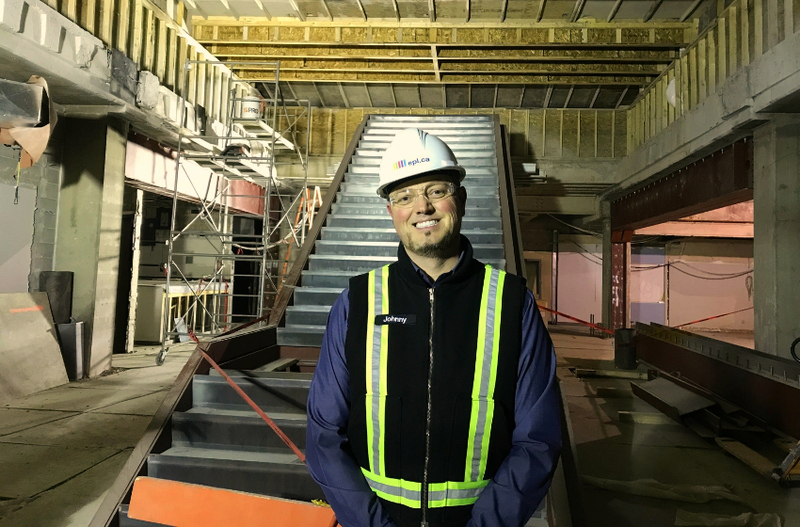 Over the past 12 months, the Edmonton Public Library’s downtown branch has undergone some dramatic changes. The Stanley A. Milner Library closed on December 31, 2016 for a three-year revitalizationopens a new window. 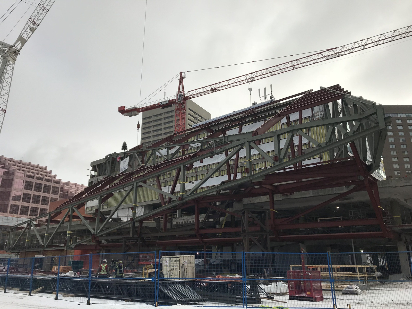 One year in, the structural steel forming the new atrium and building façade have been tied in from east to west elevation, while the entire exterior is almost completely framed in. Windows are next, and then work will soon move mostly inside the building. We recently took a tour of the Milner Library with Johnny Nielsen, our Director of Facilities and Operations. 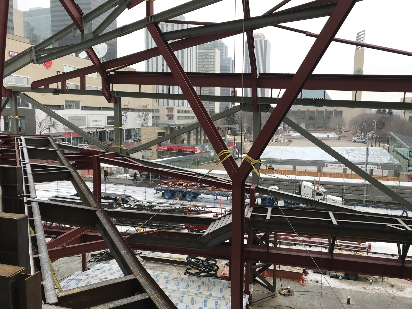 Watch the videoopens a new window to learn more about our construction progress and what is yet to come. Your browser does not support inline iframes. Visit Stanley A. Milner Facebook Live Q&A.